For the last six months, North Carolina's Museum of Natural Sciences in Raleigh has been host to an exhibition of the Dead Sea Scrolls. The Dead Sea Scrolls are believed to be one of the greatest archaeological treasures to ever be discovered. The exhibition included fragments from Old Testament books of the Bible such as Genesis, Exodus, Deuteronomy, and Isaiah. More than a hundred artifacts including inkwells, coins and sandals, stone clay jars and plates found in Qumran were also displayed. "Historically, Duke [University] played an important role in bringing the scrolls into the public eye. Duke PhD William Brownlee was one of two Americans to first see the scrolls in Jerusalem, and helped verify their authenticity. In 1950, the first scrolls were put on exhibition in a few U.S. locations, including Duke University Chapel, where 30,000 people came to see the scrolls in only six days." The significance of the Dead Sea Scrolls should never be underestimated. They answer one of the most critical questions of life: How do we know the Bible we have today has been passed down to us accurately — and is its message trustworthy? Until these texts became available, the oldest Hebrew Old Testament text in existence dated back to A.D. 800. No original manuscripts of the Bible exist today, so the next best thing is to go back to the oldest copies that would be closest to the originals. 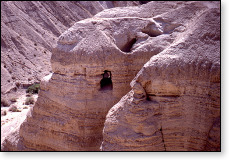 The Dead Sea Scrolls allow for that because they are 800-1,000 years older than previously known manuscripts. What the Dead Sea Scroll manuscripts clearly demonstrate is that through about a thousand years there was essentially no significant alteration in the text. The scribes who transcribed the text of the Bible were so meticulous — they had such high standards of accuracy, counting every word and every letter of every word, dotting each "i" and crossing each "t," so to speak — that one may be absolutely certain the Old Testament text available to scholars today is in essence the same as the originals. The Dead Sea Scrolls are an incontrovertible archaeological confirmation that this is the case. The evidence for the reliability of the New Testament is equally strong with only approximately a 250-year gap between the original manuscripts and the copies currently available. "If you are still concerned about the gap of, say, 250 years," writes Erwin Lutzer of the Moody Bible Church of Chicago, "remember we can independently confirm the text of the New Testament by (1) papyri manuscripts that were discovered in Egypt, dated as early as A.D. 125, containing fragments of the New Testament. Also (2) extensive quotations of the New Testament occur in the writings of the early Church Fathers, as further proof that the New Testament writings were known to them, possessing the same content as we have today." Interestingly, the oldest manuscripts available of Plato and Aristotle only date back to 1600 A.D. and there is no great debate or question over their reliability — proving that sometimes the skepticism over the Bible is more an issue of the heart than an issue of the evidence. Although archaeology has borne out the accuracy of the Holy Scriptures again and again, the Bible still has its critics and detractors. Yet there is another and even greater form of evidence that testifies to its impeccability — its power to change lives for the better. The late evangelist Dr. Harry Ironside in Random Reminiscences tells the story of how once he was asked to share his personal testimony of faith in Christ with a group of Salvation Army workers in San Francisco. Ironside accommodated the request and listening that day was one of the early socialists who had made a name for himself by lecturing not only for socialism, but also against Christianity. 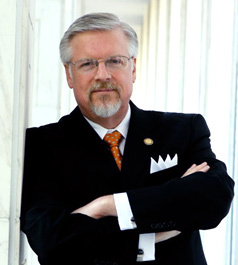 After Ironside had given his testimony, the man politely handed him a card that read: "Sir, I challenge you to debate with me the question: 'Agnosticism versus Christianity' in the Academy of Science Hall next Sunday afternoon at four o'clock. I will pay all expenses." Ironside agreed to the debate on the condition the man would bring to the meeting at least two persons with certain qualifications who could prove skepticism in the Bible and Christianity had real value in changing a life and building true character. He must bring a man and a woman, Ironside insisted, who were real "down and outers" — drunkards, or criminals, or pedophiles — persons who had been in the grip of some powerfully self-destructive habit and were a threat or menace to their family and community but were forever changed — rehabilitated as a credit to society; living a clean, virtuous, happy life — all because they had become an agnostic. Naturally, the man who made the challenge declined his earlier invitation for debate because of his inability to meet Dr. Ironside's conditions. In a day when Americans are looking for "change they can believe in," both the written Word of God and the Living Word of God, Jesus Christ, provide that change. What's disconcerting, however, is the nation seems to be looking everywhere for change except for where it really can and always has been found — in those teachings from the Bible that have been tested and tried in every generation and always found more than sufficient for life's challenges. "Suppose a nation in some distant region should take the Bible for their only law book, and every member should regulate his conduct by the precepts there exhibited! Every member would be obliged in conscience, to temperance, frugality, and industry; to justice, kindness, and charity towards his fellow men; and to piety, love, and reverence toward Almighty God...What a Utopia, what a Paradise would this region be." In sum, the Dead Sea Scrolls exhibit recently in North Carolina, which now moves to Toronto, Canada, is just another one of the many witnesses that the Bible and its message is reliable and worthy of adherence.